Who Pays For Home Health Care? Home » Blog » Articles » Who Pays For Home Health Care? Let’s discuss who pays for home health care. Other than having money buried in the backyard or digging into your retirement fund, what are the different options? How can you pay for it? One of the first choices is private funds. The individual has the money to pay for it, and so they pay for it. That’s obviously going to drain your resources, but that is one way that home care gets paid for. Another way is through the VA administration if the person is a veteran. It’s called a Home Attendant Program. Those benefits are available in an assisted living facility and/or home care. The way to get the ball rolling with that is you get your veteran to the local VA and talk to your primary care physician there. Typically, that gives relief for 6 to 9 hours a week; 2 to 3 days a week of 3 hours of service. For those individuals, it may be just what they need to keep them at home. Unfortunately, the hours aren’t any longer than that. 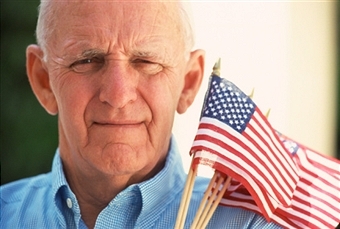 The VA program is a great benefit for the veterans who qualify. One of the qualifying factors is you have to have served one day in a wartime period. But you didn’t have to be there. So Korean War, Vietnam War, and Gulf War – if you served one day of service during a wartime period, you qualify with this program. Another avenue is through long term care insurance policies. Those policies range all over the board. Some of the policies are great. Some are not so good, but there is more standardization with the policies now than there were when they first came out a number of years ago. With the long term care insurance policy, you’re going to need a physician’s order and at least two activities of daily living that are being performed each day to qualify. Another thing that’s important with the long term care insurance policy is the elimination period. That’s like your deductible. It’s usually the number of days. You’re going to have a 30-day or 100-day elimination period. But they don’t talk about how much money you have to spend per day. That means you can strategically get what you need in a shorter period of time, and then when your elimination period is exhausted, you can bump up to the number of hours you qualify for under the long-term care insurance policy. Again, preserving assets – it’s a great way to do that. If you’re looking at a long-term care insurance policy, you want to look at an inflation rider. If you don’t have that and you have your policy for 30 years, you’re going to get $50 a day. In 30 years, $50 a day is not a whole lot. So, look for an inflation rider; what are the daily limits. We’ve talked in another blog about Medicare and Medicaid. The other one is private insurance. Private insurance, depending on the policy, does not cover custodial care most of the time, which a lot of home care falls under. Private insurance policies typically don’t pay for the assistive care or personal care type services. There may be a skilled nursing benefit, but if it says, “we don’t cover custodial care,” that’s probably going to be the personal care services that someone will receive at home. So those are some of the major players that help pay for the services. Just recapping – private funds, long term care insurance policies, private insurance policies, Medicare, and Medicaid. One reason I do these podcasts, blogs, and seminars is to try to educate people. There are other options where you don’t have to leave the home, and you can protect as many assets as possible. I call this a really cutting-edge area of law. Things are constantly changing. New tools are being developed everyday to help people. How Do You Challenge a Will? Do I Have to Pay Tax on the Home I Inherited? This website is attorney advertising and does not establish an attorney-client relationship, which is only formed when you have signed an engagement agreement. We cannot guarantee results; past results do not guarantee future results. © 2019 The McIntyre LAW FIRM.Designed and maintained by Gangbee Solution. All Rights Reserved.